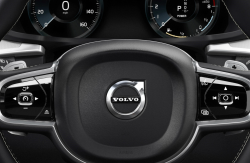 Worldwide Volvo recall issued after engineers find evidence of cracked fuel lines. January 24, 2019 — Volvo is recalling nearly 220,000 vehicles worldwide after the automaker found cracked fuel lines in the engine compartments of several models manufactured in 2015 and 2016. Volvo says the recall includes the V40, V40CC, S60, S60CC, V60, V60CC, XC60, V70, XC70, S80 and XC90, with nearly 31,000 of the recalled vehicles in the UK and about 37,000 located in Sweden. Volvo, owned by Chinese company Geely, says the recall is primarily a preventive measure to avoid future problems, but the company so far hasn't indicated if Canadian or U.S. customers are affected. According to the automaker, there have been no injuries or damage reports related to the cracked fuel lines, but drivers have reported the smell of fuel and the risk of leaks and fires is present because the fuel lines are under constant high pressure. Owners are currently being contacted with directions to get the vehicles to dealerships to have the fuel lines replaced, a job that should take about two hours. Fuel line problems have plagued various manufacturers over the past months, with multiple automakers ordering recalls in an effort to fix the problems.